Newspaper delivery routes are available in your area! This part time work is a great way to save for the holidays or supplement your income! Sign on bonuses are available on a First Come First Serve basis. Routes are filling up fast so act today! Must have a valid driver’s license, auto insurance, e-mail address and a checking or savings account to direct deposit your profits. 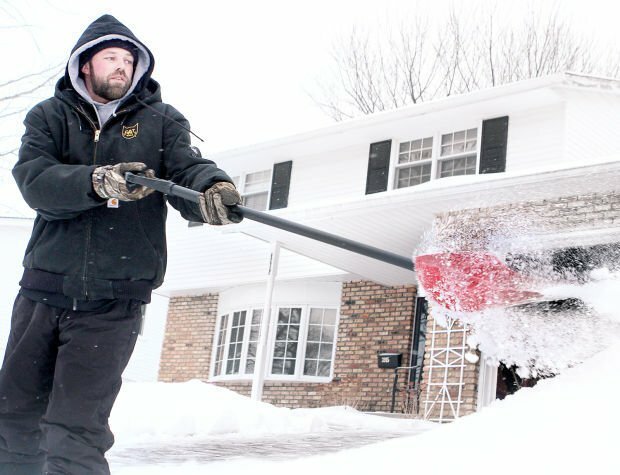 Joel Choate shovels snow at his home in Bettendorf last week to avoid a bill from the city. If Bettendorf homeowners fail to shovel snow off of their sidewalks within 48 hours of a snowstorm, the city can remove the snow and charge the property owner. Jerry Johansen uses a gas-powered leaf blower to clear his driveway Thursday in Bettendorf. He says it's much quicker than shoveling. 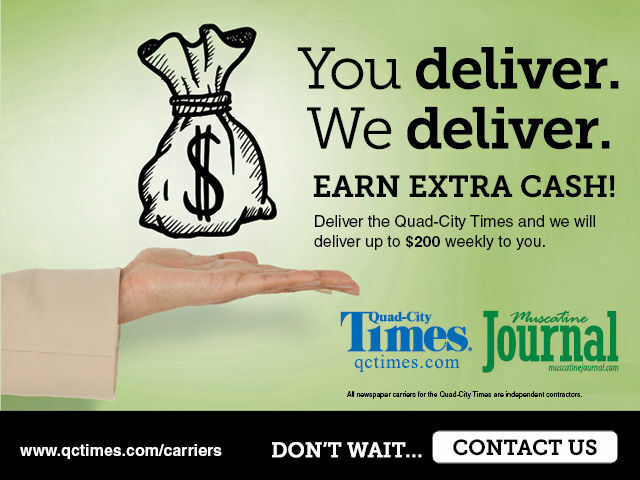 The Quad-City Times never takes a day off and neither do our carriers. We will always make our best effort to get your paper to your doorstep, porch, or newspaper box but we ask you help us ensure safe conditions. With strong winds and severe weather conditions, we cannot control where the paper ends up. We can and will do our best to leave it where you can most easily access it but we ask your help and your patience. Please keep your sidewalks and walkways clear of snow and ice. Also, due to these inevitable conditions taking their toll, we encourage you to activate your online account as a supplement to your print paper! Read the e-edition while your spouse reads the print version. Check out archives from the beginning of (newspaper) time. Enjoy full access to qctimes.com without interruption. And access award winning content from The Washington Post at no extra charge.